Considered to the be one of most influential American authors, Howard Philip Lovecraft is synonymous with some of the best fantasy and horror fiction of the 20th century, second only to Edgar Allan Poe. 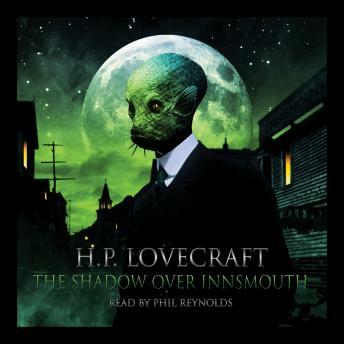 Innsmouth is a dilapidated seaside town with secrets as a hybrid race of half-human and half-amphibian creatures worship the gods of Cthulhu and Dagon... Written in 1931, and published by the Visionary Publishing Company some five years later. "It's a genre blessed with many great stylists, H.P.Lovecraft's baroque imagination and outrageous use of language still manages to stand head and shoulders above the rest. A timeless master of the macabre and the true connoisseur of dread". Michael Marshall-Smith.